I am available to come speak to your Church/Group/Organization/Business. If you might be interested in having me, here are some things you might like to know. Jacob is a Young and Exciting speaker with a Fresh voice and perspective on the Gospel. With International speaking experience Jacob’s passion for young people and for the Gospel is evident to all who hear. That passion comes out through speaking in a way that is captivating and inspiring. Jacob strives to present the Gospel in a way that is real and pertinent to the way we live out the lives we are blessed with. 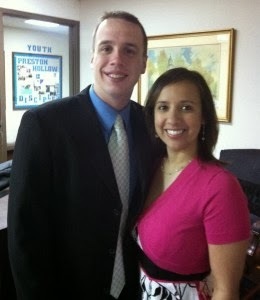 Jacob Currently serves as Director of Youth Ministries at Lake Cities United Methodist Church in Lake Dallas Texas. International speaking experience includes Frontier Lodge Christian Youth Camp in Quebec Canada and the Methodist Church in Veliky Novgorod in Russia. Jacob was raised by a single mother and began attending church regularly when going though confirmation in 8th grade at First United Methodist Church Mansfield. Jacob took a strong leadership role in the large group even as a high school student. Jacob Graduated from McMurry University in Abilene TX in 2009 with a Bachelors degree in Business with a minor in religion and was recognized as the “Outstanding Graduate of 2009.” Upon graduation he got married to Kim and moved to the DFW area and began serving at Preston Hollow United Methodist Church. In the Spring of 2012 Jacob transitioned from Preston Hollow to Lake Cities United Methodist Church.